The JMW String Quartet is a professional ensemble of four highly trained young classical musicians. 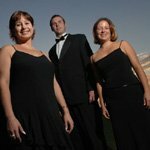 They have many years of experience in providing beautiful music for their clients, always with a personal and polished touch. They are dedicated to creating a stylish ambience to suite the tone of your special event. By booking the JMW String Quartet you are guaranteed not only a superb quality of performance, they also promise a friendly, specialist approach, a stylish image and a wonderful selection of atmospheric music. They are available for events of all kinds. If you are planning a wedding, function, party, funeral or reception, or if you need a virtuoso ensemble for a recital, you have come to the right place.